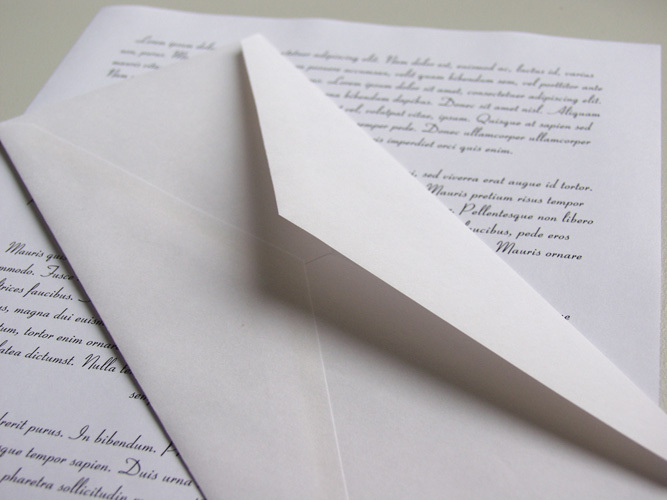 With the popularization of the Internet, paper letters gradually began to lose its relevance. Nevertheless, sometimes still have to resort to services of Russian post. How to send a letter correctly, how to choose a particular kind of departure, you need to know in advance. This will save you time and money. In order to send a letter in the mail, you need to know the exact address of the recipient. The accuracy of the address depends on whether it comes to writing, and how quickly. Rather than the address (writing index, and related information), the faster the message gets to the addressee. Also the end point depends on the type of envelope, number of brands and the value of the item. Then you need to choose the type of departure letter. If the letter is sent to Russia, a letter is embedded in a regular envelope to Russia, is signed and dispatched. If the letter is sent to another country, you need to buy another envelope and pay a different amount. If guaranteed delivery letter for you is very important, you should choose the shipment by registered letter or securities. In this case, the procedure of registration and sending a message will be longer, will have to pay a little more than a letter, but the probability of loss of this departure is minimal. Then an ordinary letter, you just put it in the blue box of the Russian post in the street, and valuable or registered will have to register directly at the post office operator. In letters to money, plastic cards and valuable documents of the shipment are not subject. If the letter assumes shipment documents, shipment need to send valuable or customized. The letter is the most traditional and usual form of administration, which can be done by mail. Letters come in several types: ordinary, with declared value and registered. In a letter you cannot send anything except paper documents and messages. To send a message, first prepare it. Weight letters must not be more than 100g. If it turns out more or harder, you can send it as a parcel, the procedure is almost identical. In the mail you need to buy an envelope, fill in address and choose the type of shipment. Simple letters are delivered the easiest way – put in the Inbox of the recipient. If the letter pulled out the bullies, mail does not bear any responsibility for it, and you will never be able to verify whether it happened actually or the letter got lost along the way. Registered mail differs in that it will give to the addressee only upon presentation of ID. The letter with the declared value will be paid by mail in case of loss during shipment. There are also registered mailings – such, for which a list is made, and before sealing of the envelope, the postal worker checks the validity of the information specified in the inventory. Depending on the size of the letters you will need to pick up the envelope. They come in several sizes. 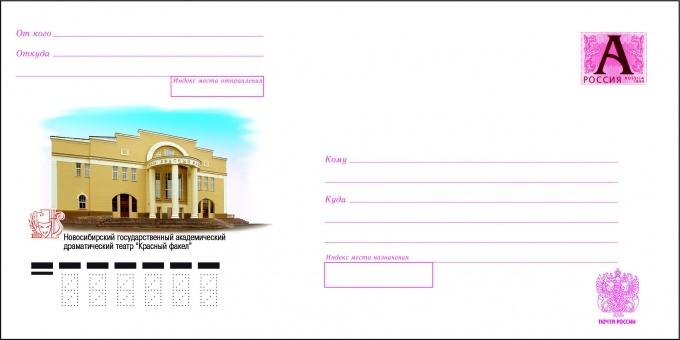 The most popular is the envelopes 110x220 mm and 114х162мм, the largest allowable mail of Russia envelopes have a size of 229х324мм. The envelopes are standard sizes, usually have a brand, so in addition to get them is not necessary. It should be remembered that the brand pays for letters weighing 20g. So if your letter is heavier, it will return you underpaid. Therefore, it is better to weigh the envelope in the mail, if you are in doubt. If you do not specify a return address, extra stamps will have to pay to the recipient. Fill out the address very carefully, because most problems and delivery delays are linked to the fact that the sender either does not write an index, or wrote it wrong, or sometimes wrong with the address or it is illegible. To send a simple letter, put it in any mailbox. In order to guarantee the reliability of getting emails to the mail service, put it in a mail box only at the post office. Registered and declared value of the letter can be sent only by mail. All letters from the city go to the post office, so to speed up delivery 1-2 days, I can take the letter there. In the letters it is forbidden to send money, valuable documents and plastic cards. Documents are recommended to send a registered letter. Despite the fact that the probability of loss letters when sending extremely small, send important emails as a registered – indeed, all standard mail that is often missing from mailboxes. They are more expensive, but you will be confident in delivery. Besides, each letter gets its own number which you can track his route.